TGIF: Microsoft has slashed rental prices for some movies down to $0.99. Get the popcorn ready. 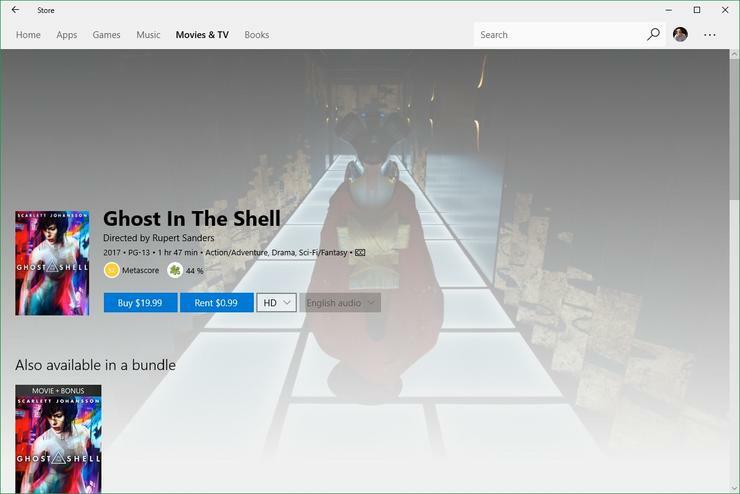 Right now, the Windows Store (built into Windows 10) and Microsoft's online store are offering a number of movie rentals for $0.99. The offerings span everything from relatively new titles to some real stinkers. Top of the list for the movie rental sale includes the 2017 version of Ghost in the Shell—yes, that one. There's also the 2016 sensation La La Land, the entertaining Kingsman: The Secret Service, the kid-friendly Trolls, and The Lego Batman Movie. After that, the selection starts to get a little...interesting. There are classic gems like The Good, the Bad, and the Ugly; Superman: The Movie; and The Shining. There are also 2016's forgettable Assassin's Creed and the 1990 TV version of Stephen King's It. The latter has a good cast, but at $0.99, it's still too pricey if you ask me. Besides, the 2017 version hits theaters on September 8. 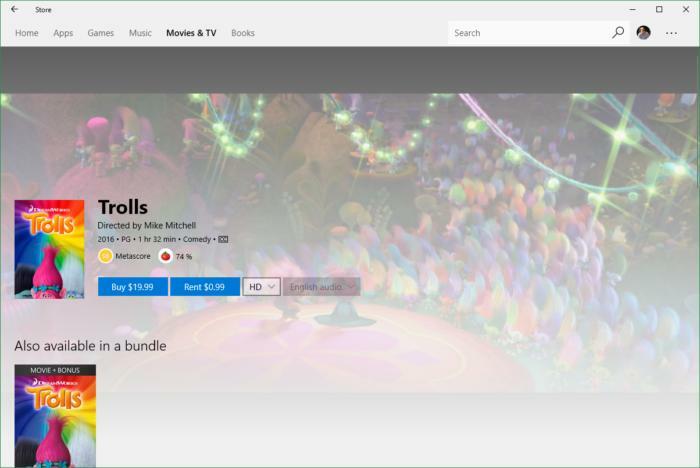 If you've never rented a movie from Microsoft, you have 14 days to start viewing your rentals.You can watch these rentals on Xbox, Windows 10, Windows 8, and Windows Phone 8 devices. After you start a movie, you have 24 hours to finish watching it.